Mizpah is from the Hebrew “watchtower”. It comes from a passage from Genesis in the Bible: “And Mizpah;for he said, The Lord watch between me and thee when we are absent one from another”. 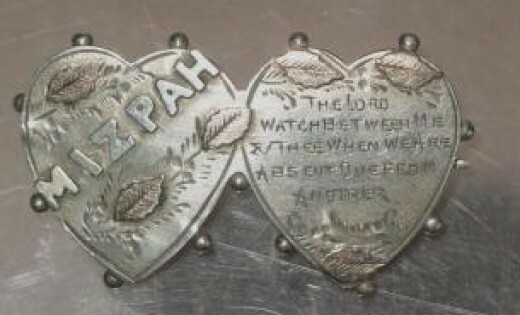 The word mizpah and sometimes the accompanying passage were engraved on many jewelry items during the Victorian era. Often, the engraving would be subtle and only visible upon inspection. But more often, the words would be the main feature of the jewelry item. Mizapah jewelry can be found in both gold and silver or other metals. 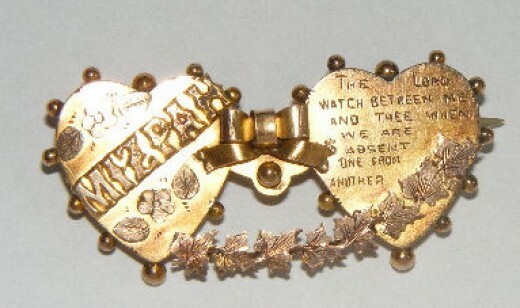 Antique Mizpah jewelry is considered to be highly collectible.